Drugs are classified based on their medical use as the following: (1) pharmacodynamic agents or drugs that target various physiological functions of the body, (2) CNS or central nervous system agents such as anesthetic and anti-depressants, (3) drugs that fight pathogens such as antibiotics, antifungal and anticancer, and (4) supplemental agents such as vitamins and dietary supplements (Beale & Block, 2005; Parimoo, 1995). Generally, the drug’s chemical structure affects its pharmacodynamic and pharmacokinetic properties. Study shows that drugs with common structures exhibit similar pharmacological activity. Thus, existing drugs with known pharmacophoric units and its corresponding pharmacological activity are used in designing new drugs with higher specificity. (Kamel & Syam, 2013). Drug’s solubility and permeability affects the rate of its absorption by the body, and so is its efficiency. Solubility is the property of a substance to form a homogeneous solution with the presence of a solvent. Solubility of any substance into a solvent is determined by the general rule, “like dissolves like”. This means that polar molecules or solute are soluble into polar solvents, such as sugar in water. However, dissolution can be enhanced using the following methods: (1) physical modifications, (2) chemical modifications, and (3) miscellaneous methods. Based on its solubility, drugs are classified into four classes: class I – highly soluble and permeable, class II – slightly soluble and highly permeable, class III – highly soluble and slightly permeable and class IV – slightly soluble and permeable (Savjani, et al., 2012). 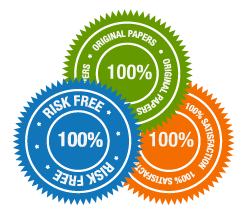 Generally, drugs can be categorized as either hydrophilic or water-loving substances or hydrophobic or oil-loving substances. On the other hand, permeability is the property of a substance that allows other substance to pass through it. Some examples of Class I drugs are Metoprolol, Diltiazem, Propranolol; Class II examples are Phenytoin, Nifedipine, Danazol; Class II examples are Cimetidine, Acyclovir, Captopril; and Class IV are Hydrochlorothiazide, Taxol, Furosemide (Khadka, et al., 2014). How does the drug’s structure and physicochemical properties affects their use? How does the drug’s (properties) solubility and permeability affect its efficiency? Data were obtained from existing literature to show that similar drugs or those with common structures are used for the same purpose classified as shown in Table 1. The independent variable for this case is the drug’s structure and their uses are the dependent variable. Data were taken from this online database: https://www.ebi.ac.uk/chembldb/. Solubility and permeability of the drugs were used as the independent variable and the effectiveness as the dependent variable. The amount of drug dosage can be used to indicate the effectiveness of the drugs. Data were obtained using the study of Dahan et al. (2009). Table 2 shows some of the commonly used drugs and their structure or the functional group they contain. In organic chemistry, the functional group are specific combination of atoms or bonding within molecules that dictates the characteristic chemical reactions of those molecules. For each example drug listed, its application was determined and classified based on the type of its application as shown in Table 1. For most drugs to work, it must be absorbed first through the gastrointestinal tract (GI), and then circulated throughout the body. Certain drugs require more dosage in order to work effectively. In a study conducted by Dahan et al. (2009), the dosage or amount required for 123 drugs were determined and grouped based on the drugs class as shown in figure 1. Figure 2 shows the drug’s effectiveness represented by the logarithm of the dosage, or Log P and CLog P for each classes of drugs. Note that increasing the dosage value results into lower value of log P and Clog P, indicating a lower activity. Based on Table 2, drugs containing the same functional group has the same type of application. The functional group present in a compound dictates the type of chemical reactions that the said compound can participate. Among the common functional groups are alcohol, which denotes the presence of -OH in the compound’s molecular structure and carboxylic acids, which implies that -COOH is present in the molecular structure of the compound. Based on figure 2, highly soluble compounds or drugs such as Class I and Class II requires less amount or dose to work. As the bar graph shows, such classes of drugs attained a higher log P and ClogP values indicating better activity or higher efficiency compared to the other two classes, II and IV. Class I and Class III are drugs are both highly soluble to water. Solubility corresponds to the amount that the solvent can hold. Thus, highly soluble compounds are dissolved in more amount compared to less soluble compounds. This supports the result wherein less dosage is required for Class I and Class II drugs. Class II and Class IV has low solubility, and less effective as indicated by the amount of dosage requirement. However, Class II has better performance than class IV which can be accounted due to its higher permeability. The GI tract is a permeable membrane that allows transfer of substances such as nutrients that will be carried by the blood to circulate around the body. Thus, more permeable substances or drugs are expected to be absorbed effectively than substances with lower permeability. Drugs containing the same functional group, hence with similar chemical structure, have the same application. The functional group is vital in determining the possible use of any drugs. The efficiency of the drug measured by the amount of dose required, is dependent on the solubility and permeability of the drug’s molecules. Higher solubility and permeability result to better drug absorption and effectiveness. Other factors that can be used to determine the drug’s efficiency is the success of its application. However, it will require thorough research to acquire significant data. Beale, J. M. & Block, J. H., 2005. Wilsons and Gisvold’s Text book of organic medicinal and pharmaceutical chemistry. 12 ed. London, UK: Lippincott Williams & Wilkins. Dahan, A., Miller, J. M. & Amidon, G. L., 2009. 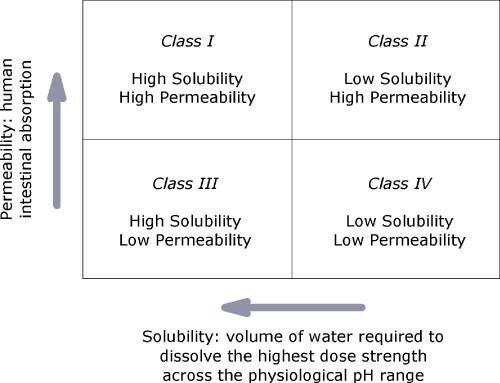 Prediction of Solubility and Permeability Class Membership: Provisional BCS Classification of the World’s Top Oral Drugs. The AAPS Journal, pp. 740-746. Kamel, M. M. & Syam, Y. M., 2013. Structure and physicochemical properties in relation to drug action. Egyptian Pharmaceutical Journal, Volume 12, pp. 95-108. Khadka, P. et al., 2014. Pharmaceutical particle technologies: An approach to improve drug solubility, dissolution and bioavailability. Asian Journal of Pharmaceutical Sciences, 9(6), pp. 304-316. Parimoo, P., 1995. A text book of medicinal chemistry. New Delhi: CBS Publishers and distributors. Savjani, K. T., Gajjar, A. K. & Savjani, J. K., 2012. Drug Solubility: Importance and Enhancement Techniques. ISRN Pharmaceutics, pp. 1-10.